This winter has been especially mild in L.A., but over the weekend we finally had some wet, chilly days, I really loved. We barely left the house due to the rain (on Saturday we literally watched four back-to-back movies on the couch) and only went out yesterday to run errands before our Oscars party. 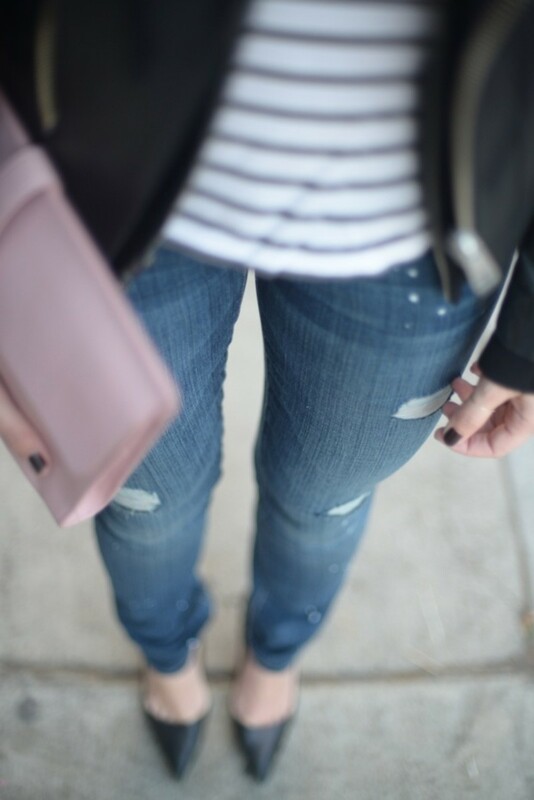 I typically layer my leather jacket over a floaty dress, so it was nice to get to pair it with something warmer, even if that meant just a t-shirt and thin sweater.